Welcome to Safety City in Lexington, KY! Safety City is a much loved institution not just among the school children who visit, but also among the many police officers who have devoted so much love, time, and energy into making it a success, It is a great honor to be the Director of Safety City and continue to promote the message of safety education with students, teachers and community members in our service region. 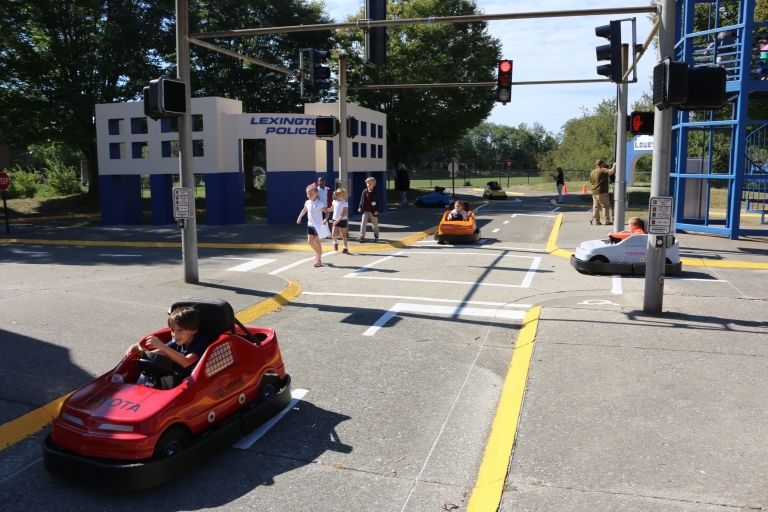 The school year is our busiest time when approximately 600 students visit Safety City each month. We recognize the impact Safety City has on the lives its visitors and the potential for building a life-long message of protection and well-being. We are also open to day cares, Boy and Girl Scout troops and church groups during the summer months. Please click on the Schedule a visit link at the top of the page to schedule a visit for a school or other group or contact us by phone or email for more information. In addition we reach out to the community and continue to promote the message of safety through our special events. 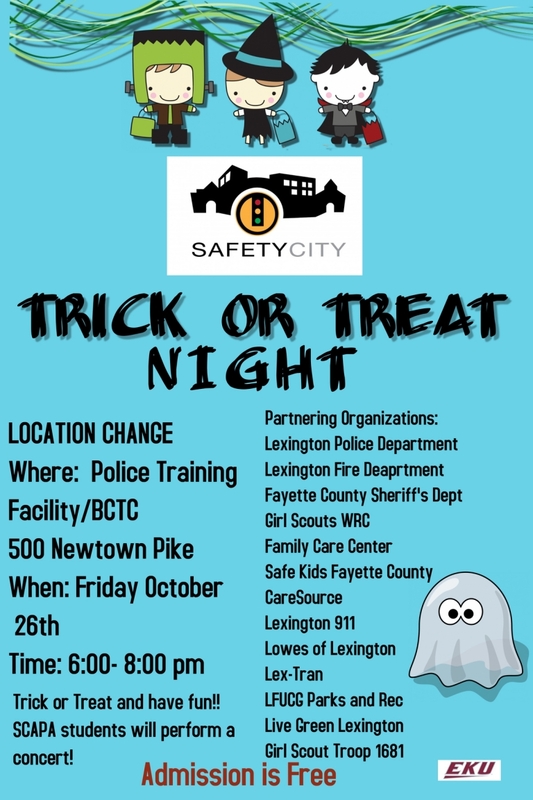 We host a Trick or Treat Night in October and our Summer Safety Fair in the Spring/Summer. If you love Safety City, there are ways you can support our work. If you are interested in making a tax deductible gift, please visit us here or get in touch by email Donna.Armstrong@eku.edu or phone (859)-258-3102. Please click on our Volunteer link to learn more about Volunteer opportunities. You can also follow us on Facebook by visiting EKU Safety City.